So you’ve published your paid for app, you included a trial to hook some people in, great. 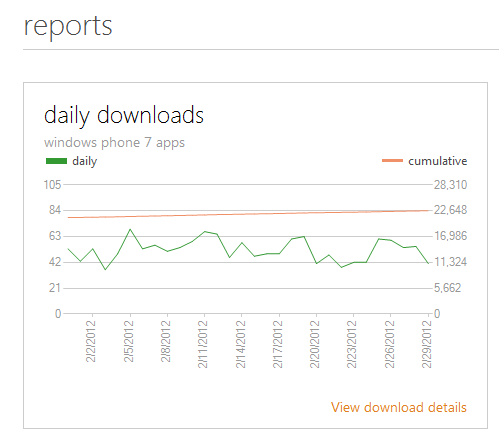 You look at your download figures in your app list on AppHub and the figures are looking good, great! Roll on that fat royalties cheque from Microsoft. But wait a minute, you included a trial, so could these figures just all be trial downloads? They could be, but it’s not quick to find out, so let me show you. So I could look at that and think great, 262 downloads at 79p ($0.99), bring it on, but we have to dig a little deeper to get the true values. 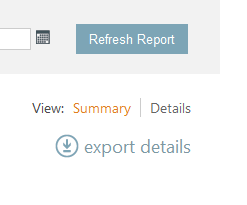 If you want to be uber geeky, then underneath the Summary/Details option, there is an export details button, this will give you that data in an excel file so you can do as many different stats as you like then. Hi Scott! You could also paste this with suitable date range editing directly into your browser, then copy, paste and sort into a spreadsheet. Open app hub, open a new tab, and paste it into the address bar. Ah ok, cool. Thanks for the tip.